Yesterday, I got a chance to watch Disney's movie "Beauty and the Beast" released earlier this year. Disney is known to make many such movies based on classic love stories which take everyone to a fantasy world. Though, the story of the movie was already known to me; however, still, I enjoyed watching it. It was a wonderful classic love story which highlights the strong and weak points of an every human being. I believe that there exist both beautiful and ugly parts inside a human being and our whole life is a struggle to find the real part. Are you asking from the right person? It is common in life to ask for help or advice from others; however, many times we don't get the positive reply and it makes us sad. Here we need to ask ourselves this question, "Are you asking from the right person? Because if we are asking for help or advice from a wrong person then definitely we will not get a positive reply. In life, we need to learn to identify the people from whom we can ask for something because there are large numbers of people around us who are either unwilling to help us or they don't have the wisdom to give us any advice. It is very important for any person to become successful in life because unsuccessful people are not treated well in the world. Therefore, I am sharing these articles with you so that your success journey becomes easy. 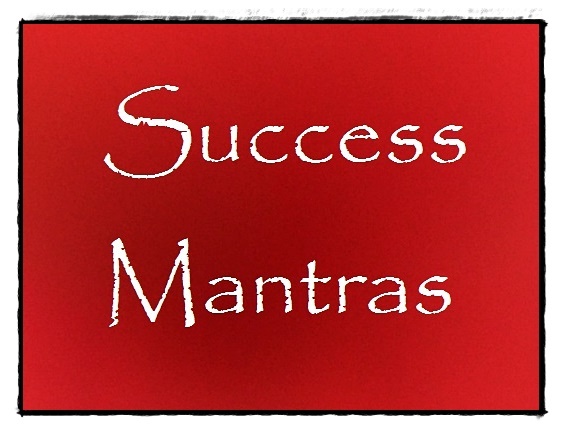 Last time, you learned the skill of listening in Success Mantra 7 - Importance of Listening and today, I will introduce you to another Success Mantra which is very useful for attaining success. Being true to yourself is the best gift you can give to yourself because the person with whom we spend our whole life is we ourselves. In our life journey, many people come and go but our inner self never changes. Therefore, we first need a strong bond with our inner self because it is you are in reality. But, sadly most of the time we ignore our real self for the sake of people who come into our lives for some time only. We keep on thinking about these people even after they are not part of our lives. We keep on wasting precious time of our lives on such people for whom we even don't exist. Water is very important for the survival of human beings; however, due to the abundance of water on the earth, we mostly take it guaranteed and don't do efforts to save it. With the increase in population and damage to natural water sources, many parts of the world are facing acute water scarcity. First news of receding water levels in the Sukhna lake came to my notice and now, I heard about the famous Nainital lake drying up fast in the Uttarakhand state of India (at present water level in the Nainital Lake is 18 feet below than the normal). In the last post on Power of Mantras, I discussed Mahamrityunjaya Mantra and how we can remove negative energies from our life with it. Today, we will talk about OM Mantra and its powers. You must have heard a lot about the OM mantra and its powers. There is much information available online where the power of OM mantra is demonstrated and popular example is where a baby sleeps after listening OM chanting. In the Success Mantra series of articles, I am trying to make it easy for you to understand what is a real success and how you can get it. All these articles tell you about the skills which are very essential for attaining a true success in life. In the last article Success Mantra 4 - Time Management and Success, I talked about the importance of time management and how it is impossible to attain success in life without time management. Today, we will learn about positive thinking and how it is very useful for success. In the lesson 1 of Success Mantras, we tried to define success in a broader manner so that we don't associate success to the few things like money and fame only. Real success is much deeper oriented and it is related more to you than to the world. In lesson 1, we came to the conclusion that health is the most important factor when it comes to being successful in life and without good health, we can't enjoy any success in life. In the last articles on Zoo, Do we need Zoos or not?, I discussed in detail that we need zoos or not. In this article, it comes out that Zoos have become an essential part of our system and they are doing lots of good jobs by conserving many endangered species of animals and birds. Already, we humans have destroyed most of the original habitats of many species of wildlife and many such species are in the shelters of zoos for their safety and survival. However, there is a financial crisis looming on such Zoos and they need the support of common people to adopt some of birds or animals at the Zoos. Are you a working slave? 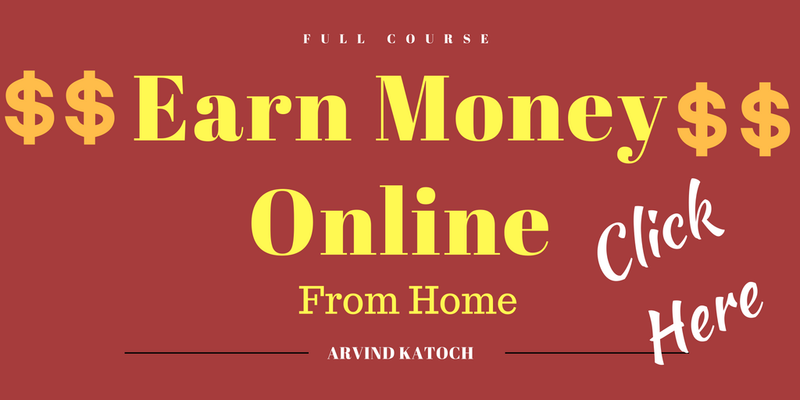 We all do lots of things in this world to make money and to work somewhere is one of the most important things in this list because by working, a large majority of people earn money to sustain their lives. From a bottom to top, we have all kinds of jobs for all classes of people according to their skills and education. However, the truth is that everyone works for money. We work and so, we get paid and this continues. Every day, we wake up, get ready and reach our offices or destinations of work to finish the work assigned to us. This circle keeps on repeating itself every day till we get retired. During this journey, people may get promoted or given additional perks; however, still, they don't stop working. In life, we will be happy or sad, it totally depends on our attitude towards life. If we keep on looking back and don't allow ourselves to come out the miseries of the past, then, we create continuous unhappiness for us. This is the problem of many people that they don't try to come out of the past. At some point in time, we all need to bury our past to make a new and fresh start. If we don't bury our past, then we will unnecessary carry its weight on our shoulders and it will not allow us to move ahead. Thanks for liking my post, "Must Read these 10 Quotes when Sad or Depressed", I hope that this post must have provided some relief to you. Today, I will share you some best and top Daily Thoughts (Quotes) close to my heart. In general, I like all the good quotes and thoughts; however, there are few thoughts and quotes which leave behind a strong impression on your mind. Below, you can find the same kind of quotes which have helped to come out of bad times and to focus on my goals. This is my list of best Daily Thoughts, I hope that you will like this post too. In the previous article on Goals, Don't stop before you reach your goals, I shared with you that one should not stop before reaching his goal in life. Today, I will talk about why you fail to achieve your goals. In the last article on Mind Manipulators "It is important to keep away from people who play with your mind? ", I told you that why it is very important to keep mind manipulators away if you want to achieve your own goals and live life of your dreams. Mind Manipulation is a technique used by many people to manipulate the thinking of someone for their own benefits. Mind Manipulators exist around us in so large numbers that you can hardly save yourself from their mind manipulations unless we can recognize them and knows to deal with them. A mind manipulator may be someone living in our own house or someone who is very close us or it may be someone whom we don't know at all. In the previous article "Control your thoughts, Control your life", I showed the power of thoughts and today, I will talk about Positive thoughts. We hear so much about the positive thoughts and their power to change our lives. We have many stories available in front of us where people have used positive thoughts to completely change their miserable lives. However, still very less numbers of people use positive thoughts for the betterment of their lives. Today we see hatred everywhere due to this reason, we see everyone fighting with each other. People are finding it hard to have trust others, therefore, everyone sees everyone with a suspicion. This is not good if you want to create a good and fearless society. Today fear is the primary force which is driving us. We are more motivated by fear than by the love. Love has taken a backseat in society and no one wants to give love a chance. The levels of fear and suspicion are so high that we don't allow love to enter our lives. It's very important in life to have some Goals because they guide us to reach New Heights in life. Without proper goals, no person can accomplish his dreams. Sometime life looks so difficult that we become disheartened and start thinking that we will not be able to reach our goals. This day has come in every person’s life and due to this reason many people stop making efforts to reach their goals and accept defeat. They didn't realize that failures are also part of life’s journey. Everyone who achieves his goals, initially go through many failures. I have been writing articles for last 12 years and I have seen that articles are a great method to do Marketing, therefore, many companies use article marketing to increase awareness about their products or services online. When people read these articles, then they come to know about the products or services and this increases the chances of people using the services or products. I am very excited to see this new feature of Google docs which makes it very easy for writers to write what they are thinking just by voice command. This feature of Google docs makes writing an article so simple that you find it very easy to write an article. I never thought that one day I will write my article by just speaking on the microphone only. I want to assure you that it is a great fun writing an article with this feature. To do so, I am using the free service of Google docs. How to find New ideas for Writing? In the last post, I discussed about How to become a good writer and now we move further with How to find new ideas for writing. Many writers from time to time suffer from a mental block which makes it difficult for them to decide what to write or where they can find the inspiration to write. Writing is an art which is a mix of both your language skills and your ability to think out of the box. It is always better to write something which is useful for the readers and it enhances their knowledge on the topic. However, you can only write better when you feel inspired to write on the topic.